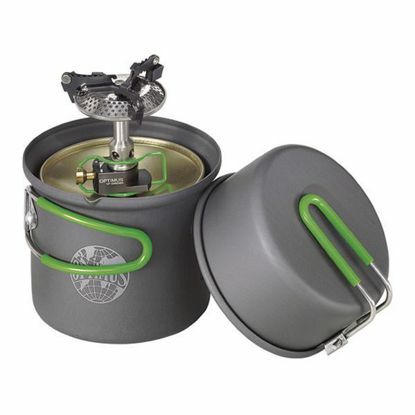 The NDuR Mini Cookware Kit w/Alcohol Burner is a great little kit when you are on the go. Made of Anodized Aluminum, it is extremely lightweight and easy to clean. It comes with a mesh carrying pouch. The surface treatment is FDA and LFGB food safety approved. Ultralight, small and easy on the wallet too? No thinking necessary with this versatile package that includes the feather-light, precision-simmering Crux Lite stove and the Terra Solo Cook Set now with a non-stick coating for fast and easy cleanup. Fuel canister sold separately. 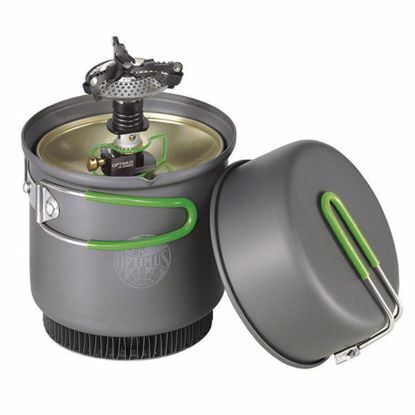 Highly versatile and efficient 3-piece Cook System combines the Crux stove and Weekend HE Cook Set. Set includes: Folding Crux stove (83 g/2.9 oz. 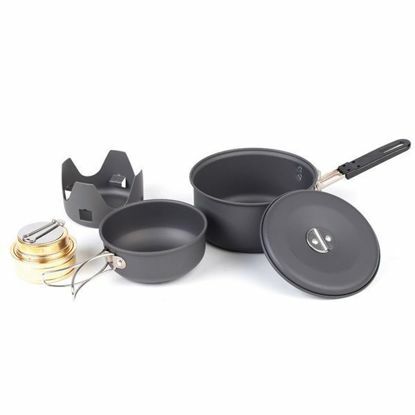 ), 0.95 L Heat Exchange saucepan (hard anodized aluminum) with non-stick coating, pouring lip and measuring marks, fry pan that doubles as a lid, mesh storage bag, and neoprene sleeve to store Crux in the unused space under the gas cartridge. Note: When traveling, the set also offers ample space for a 230 g/8 oz. 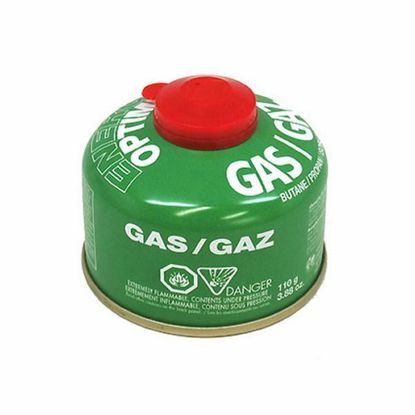 gas cartridge (not included).